Firs Cottage is a warm and welcoming family home with outstanding views. Padog B&B is situated just outside the centre of Llanrwst on a hillside overlooking the stunning Conwy Valley. Our 4 star accommodation comprises 3 guest rooms, all ensuite. Our newly refurbished and extended breakfast conservatory is the ideal place to enjoy what many describe as the best cooked breakfast they've ever eaten. We are perfectly located for Surf Snowdonia, Bodnant Gardens and for exploring the beauty of Snowdon. Visit Llanrwst Conwy and the surrounding villages and stay in B&B, hotel or self catering cottage accommodation provided by BedPosts members. Llanrwst is a market town in Conwy County, North Wales, possibly founded in the 6th century and named after Grwst, a Celtic itinerant preacher and saint. it was a thriving community in 945 AD. Though 65% of the 3000 population speak Welsh in their homes and in town, they all speak English. It is claimed that the three-arched bridge over the Conwy was designed by Inigo Jones, and although there's little evidence of this, it certainly is elegant. The 15th-century ivy and Virginia creeper-clad cottage of Ty Hwnt i'r Bont next to the bridge is very pretty and a National Trust tea house. Gwydir Castle was for centuries the home of the Wynn family, dating to Tudor times. At Caerhun, is the site of a Roman fort, Canovium, established soon after the invasion of Wales under Cnaeus Julius Agricola between AD 75 and 77. The Roman cohorts marched into the hills, tamed the tribesmen who farmed the high Carneddau slopes, and built a surfaced road over Bwlch y Ddeufaen, which would link with their fort at Segontium [Caernarfon]. Read about the local attractions you will want to visit during your stay in Llanrwst bed breakfast or hotel accommodation. Llanrwst Church is named after Grwst, an itinerant Celtic saint of the 6th century. The Gwydir chapel houses the lower part of the coffin of Llewellyn the Great, died 1240, which was removed from Aberconwy Abbey after the dissolution of the Abbey' It was transported by river and the lid and body were lost on the way! The area is rich in lead mines which may be visited. If you're not eating and drinking in the Llanrwst guesthouse, hotel, inn or in which you are staying find places here. Prize winning delicatessen, restaurant and wine shop, Blas y Fwyd. Several excellent restaurants, ethnic takeaways and well known tea shops cater for locals and holiday makers. 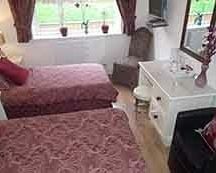 Stay in Llanrwst bed and breakfast, guest house and holiday accommodation accommodation for events advertised here. A regular Tuesday market is held in Ancaster Square. The Farmer's mart is on the edge of town on a Tuesday. The annual agricultural Show is held on the third Saturday in August. Sheepdog trials during the 2nd week in July. Find a taxi to take you to and from your Llanrwst holiday apartment, bandb or hotel accommodation and other travel arrangements. 2 railway stations serve the town on the Conwy valley line which goes from Llandudno Station to Blaenau Ffestiniog. There are several local buses which use Glasdir as a hub. During your stay in a Llanrwst bed and breakfast, hotel accommodation or lodge you will no doubt visit the High Street shops if not local businesses. A thriving shopping area offering most commodities in a compact area. If you're coming to town for a special occasion such as a wedding you'll no doubt want to stay over in a Llanrwst bed and breakfast, hotel or guest house. Three large hotels which are successful wedding venues. Glasdir, a newly built conference centre and meeting venue. 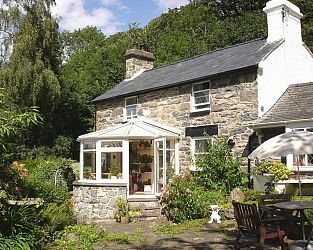 If you seek accommodation near Llanrwst in Conwy you have come to the website of a “club” of providers who offer affordable quality accommodation around UK in hotels, bed and breakfasts, guesthouses, inns, and restaurants plus self-catering cottages and apartments .